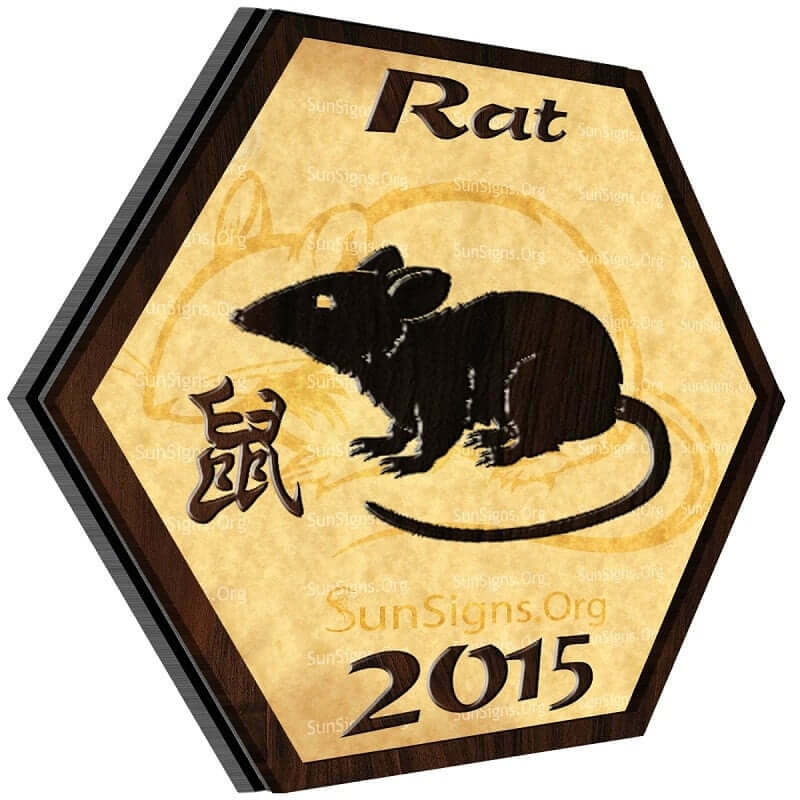 For the Rat Chinese zodiac sign, 2015 is going to be a year of challenges and learning to overcome adversity. The best things in life never come easy and Rats are going to have to remember that in the Year of the Sheep. Rats and Rams are complimentary Chinese horoscope signs, but complimentary doesn’t mean clear sailing, however it does promise good rewards when you make it past the challenges. 2015 will be a challenging year for those born under the sign of the Rat, but also a very rewarding one. To succeed in 2015, Rat, you are going to have to work hard. If you do, you should see big pay off, especially in your career. However, as important as hard work is, you also have to remember to relax and enjoy your life, but also to not be too hard on your loved ones. Not everyone has the same high standards as you Rat and in 2015 you are going to have to accept that or there are going to be some big challenges ahead. In 2015, Rats are going to feel everything a little more intense in matters of love than before and that will affect their personal relationships. The good times will be even better this year, but the bad times will bring intense emotions for you to work through. During the bad times, you will really have to work at your relationships, particularly your romantic relationships. But the good times will make the hard work worth it. Your relationships are one of the most important things in your life and if you remember that, you should be able to get through anything. There will be challenges ahead career-wise, but nothing you can’t handle. You may be starting a new job or project this year Rat and it may take you a while to find your footing. But as the 2015 Chinese horoscope predicts, keep working at it and you’ll get a big pay-off. You’ve been looking to expand your career horizons for a while, so when the opportunity comes, you need to take it even though it could mean a lot more challenges for the short term. You will want to be financially cautious this year, forecasts the Rat astrology 2015. Allow yourself more freedom career-wise. Save a nice nest egg and live frugally. You will be able to make big changes in your career without having to worry about the financial consequences and that is going to be very important for you this year. The Rat 2015 forecasts for health shows that this year you will need to concentrate on exercising and being fit. Stress is bound to have some effect on your lifestyle. Better to be careful now than repent later. One of the reasons 2015 Year of the Green Wood Sheep may be challenging on your relationships is that you have high expectations of everyone in your life. As a Rat, you naturally aim for the best and you expect the same from everyone else around you. As you rise to meet the challenges that 2015 has in store for you, you may find yourself annoyed when your loved ones do not and that can lead to emotional tension and more challenges. You’ll have to take a deep breath and stop holding everyone around you from the high standard you hold yourself to. 2015 promises to be a stressful year for the Rat zodiac sign, so remember to take care of yourself. This is the time to find a relaxing hobby, something that calms you. You can’t work all the time, you need to remember to focus on yourself and the things that make you happy. There is a lot going on in your life in 2015, so this is not the best time to do a lot of traveling. Chinese horoscope 2015 predicts that Rats will find themselves wanting to stay close to home whenever they can. There will be opportunity in other years to travel, this year you just want to focus on centering yourself and staying grounded as you deal with the big challenges. Alot changes downunder(australia)for the stars visible. However the cycles run like clockwork,even in opposite seasonal context,therefore our sky’s cycle is just as relevant to your life by our context.